With all this sweltering weather, I thought I'd make some ice cream. 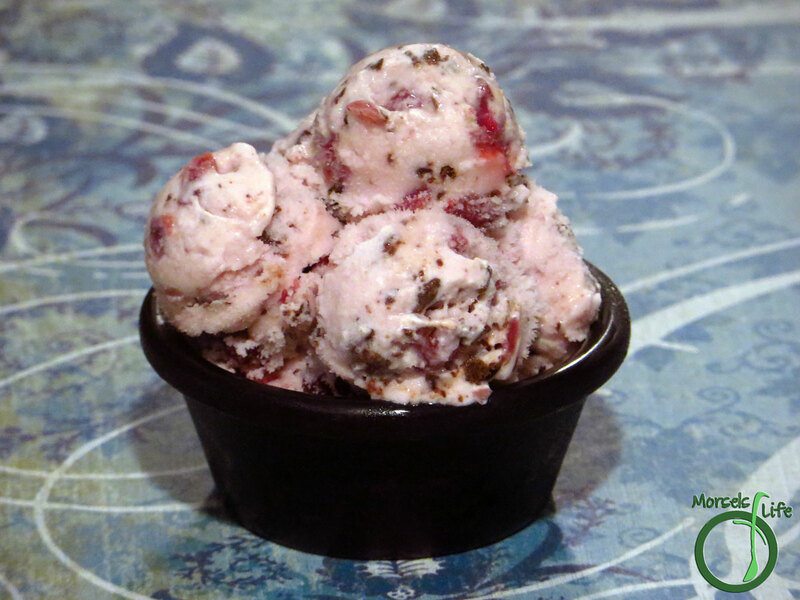 Because ice cream can solve all your problems. Sometimes. 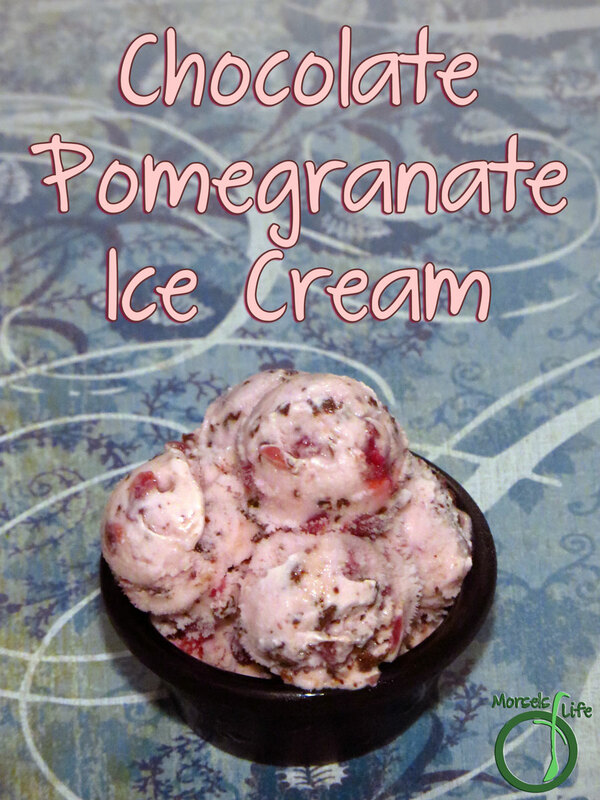 I remembered I had some pomegranate in the freezer, and everything's better with chocolate, and so, we have chocolate pomegranate ice cream! It's a super easy recipe with just four ingredients. 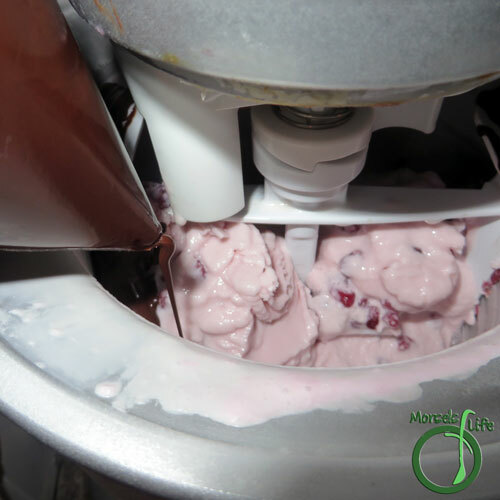 The only slightly complicated part was melting the chocolate since I prefer the smaller pieces of chocolate you can get if you add a stream of chocolate to the ice cream as it's churning instead of chocolate chips or chunks. Although, next time, I'm thinking chocolate shavings. I just think it's easier to eat when you don't have to chew through frozen chunks and then get chocolate stuck all on your teeth. 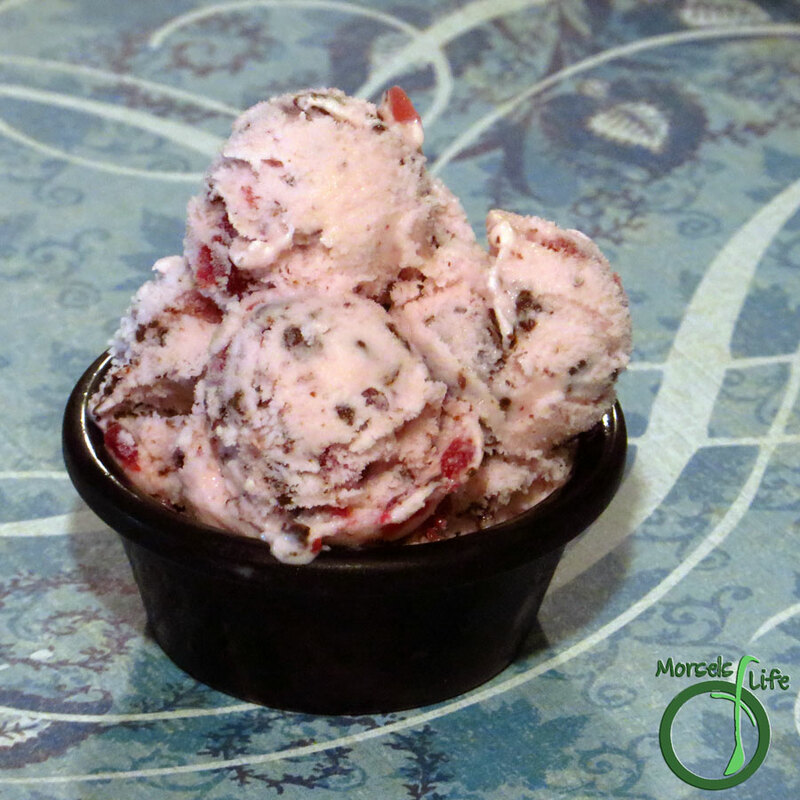 What's your preference for ice creams with chocolate - chips, chunks, shavings, or something else? 2. Dissolve sugar in half and half. 3. 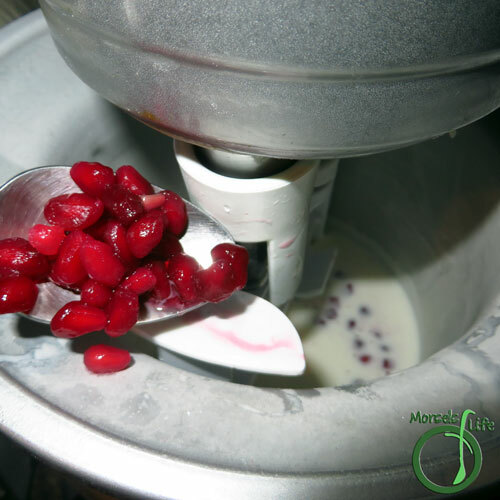 Pour sweetened half and half into ice cream maker, and add pomegranate arils. 4. 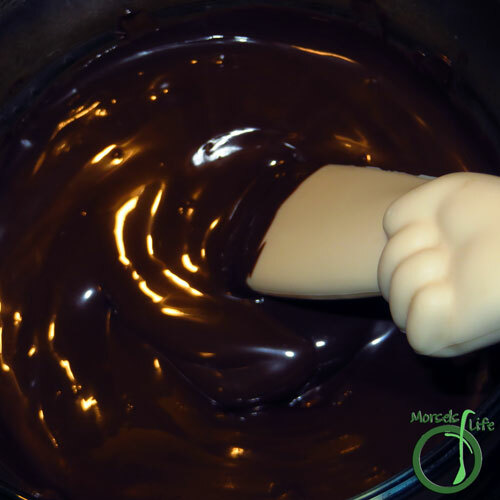 Meanwhile, melt chocolate. 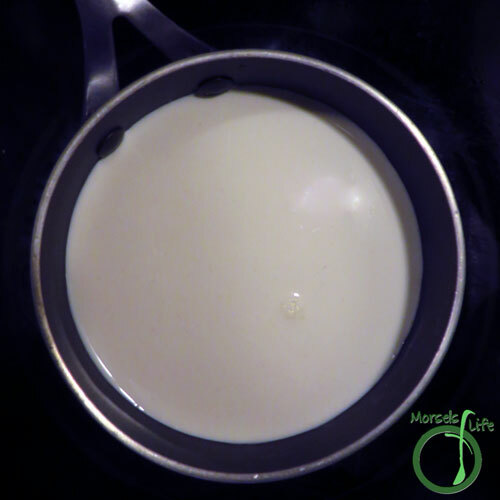 I used a double boiler. 5. After ice cream has mostly solidified, stream in chocolate. A fantastic and chic flavor combination! Thank you for sharing this recipe at the Delicious Dishes Recipe Party! Yum! This makes me want to get an ice cream maker! Thanks for posting it on Sustainable Sunday. We are vacationing in Japan and other places. My husband had chocolate ice cream here today. I know CJ Huang. We do Inspire Me Monday Linky together. Definitely trying this one it looks delicious! Thanks for sharing with us at #OvertheMoon link up. 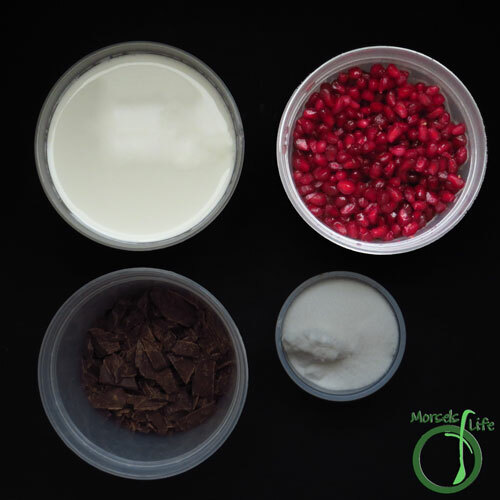 Chocolate and pomegranate - sounds really good! Thanks for sharing on the What's for Dinner link up!